Problem: I broke the screen on my iPhone 6 and I haven’t backed up any data from it. The phone is still alive. I can hear Siri if I hold the Home button, but it has a passcode and gets locked. So when I plug it in computer, iTunes is not able to recognize it. Is there any way to backup iPhone with broken screen and passcode? Solution: Anyone would feel heart-broken when his iPhone gets cracked/shattered by accident. In this case, it is urgent to get important data off broken iPhone and make a backup before repair. Just read on the methods to recover data from broken/locked iPhone se/6s (plus)/6/5s/5c/4s, iPad Pro, iPad Air, iPad mini. If you backup broken iPhone with iTunes, the entire data will be encrypted in unreadable formats. Don’t be upset! Free iPhone Recovery helps you to get data off broken iPhone to computer and save them as individual files, including Pictures, Texts/iMessages, Contacts, Notes, WhatsApp, Viber, etc. Step 1. Run the software on the computer that your broken iPhone/iPad trusted. Step 2. Connect the cracked device to PC/Mac. Start to scan the device if the utility detects your iPhone. Or skip to select an old iTunes backup file to extract data. Step 3. Preview and retrieve photos, contacts, text messages, videos, etc from broken iPhone or iPad and save them as backups on computer. What if iTunes is unable to recognize broken and locked iPhone? Here are your options to access iPhone with broken screen and passcode for backup and recovery. Fix the screen and back up once the device lets you tap in the unlock code. Use a bluetooth keyboard (which was already paired) to enter the password. – If asked ‘Trust This Computer’, double-tap the ‘Trust’ button. 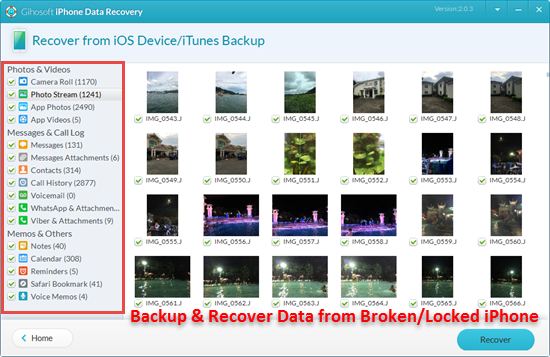 Then you can backup & retrieve data from broken iPhone/iPad through method one. Notes: It depends on the extent of the damage. 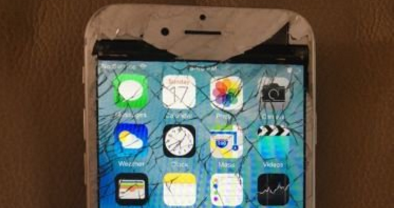 If the broken screen is totally black, or your iPhone becomes completely dead, you’ll get it repaired first. Open the web browser on computer and go to iCloud.com. Sign in to iCloud. There you can view pictures, videos, contacts, notes, reminders and the records of iCloud backup in Settings. 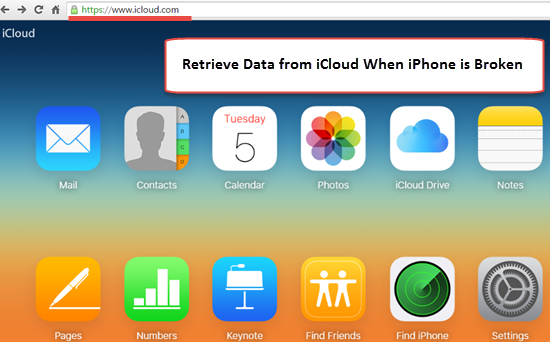 You may simply be able to sync data back to another iOS device from the iCloud backup.